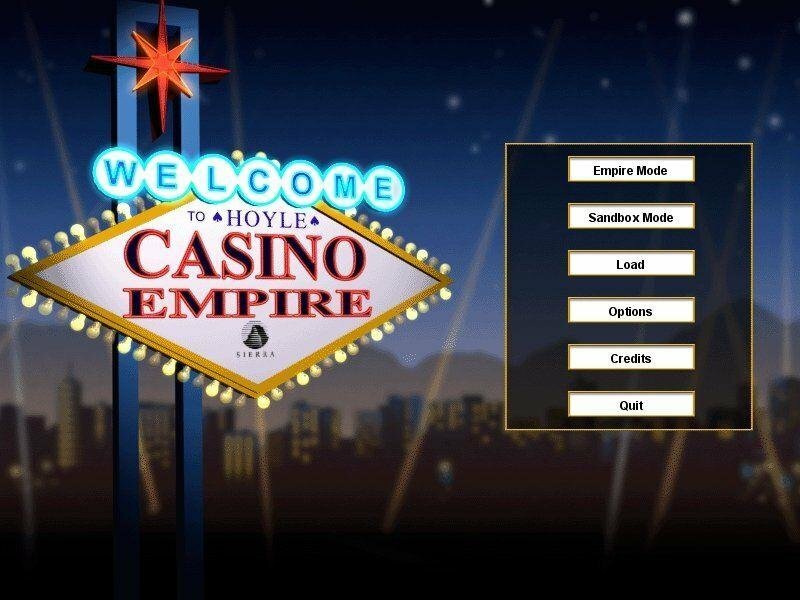 Any resemblance that Hoyle Casino Empire bears to other Hoyle games is incidental. 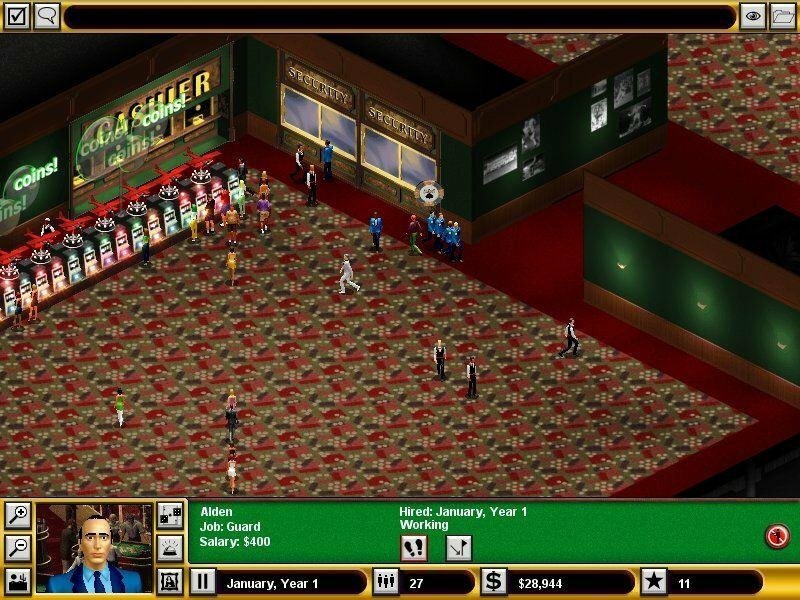 It has more in common with tycoon business sims than the conventional line of game packages that Hoyle usually delivers. 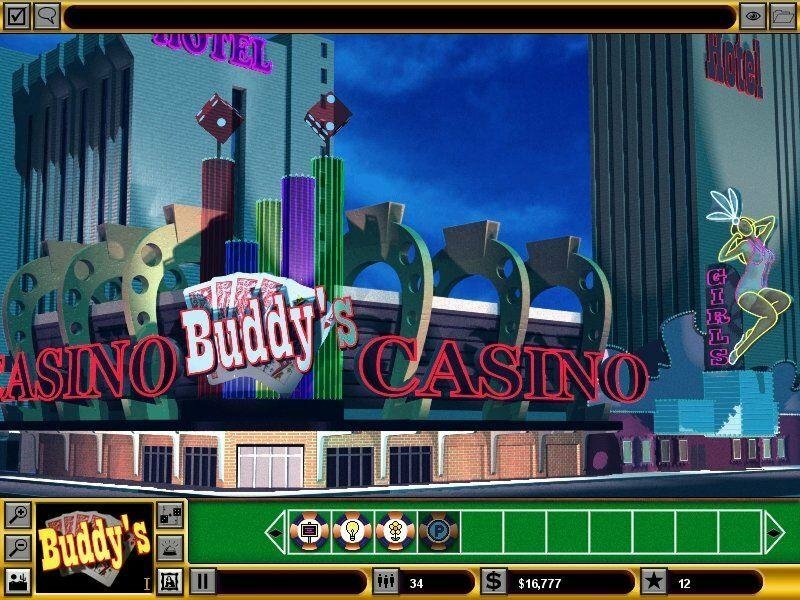 You get a casino, build it up, and progress up the line for more challenges at other casinos. You start at Buddy’s little spot on the Vegas strip. If you are successful, you move up to The Egyptian, where the challenge more than doubles. At The Egyptian, your goals are to earn $200,000, Build to Level III and get a 250 Casino Rating. So you begin by dropping in some slot machines, both the single and two-sided variety. Add a few video poker machines for good measure. Don’t forget to put in a cashier’s window ­ patrons need some place to convert those paychecks into chips and coins for the slots. Oh, and you’ll need restrooms, and security offices. All that means you’ll need to hire staff, and you can put in a security camera system. Select a location for a host of blackjack and craps tables. Then, when the cash is available, you can add baccarat, and Pai Gow poker tables, just to class up the joint. But you don’t want to get it too classy. That’s where the décor comes into play. You can add fountains, silly statues and trees to make it a comfortable or ostentatious setting. When you really get the casino going, you can add headline acts with exterior signs promoting your casino’s temptations. If you get too big, the competition is likely to spy and try a little sabotage. 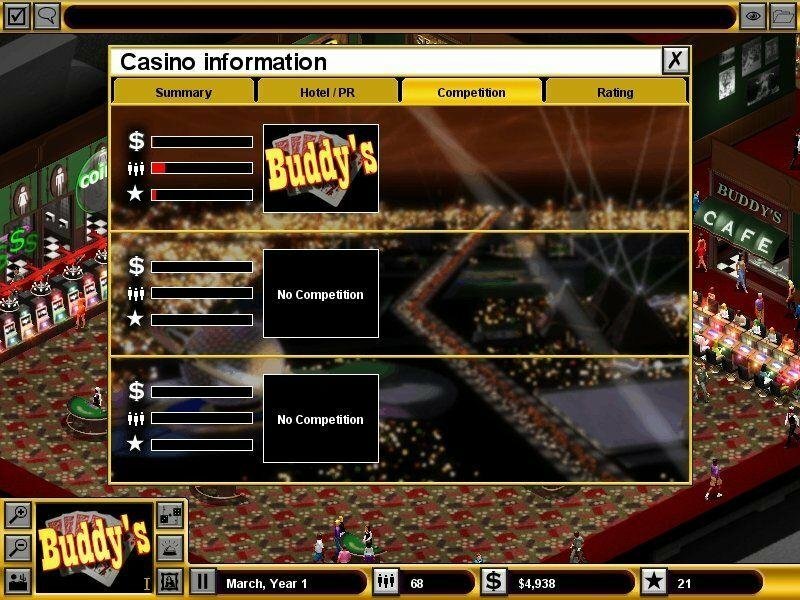 Marketing is a factor, and if you wish, you can even rig the games for a bigger payoff for the casino. 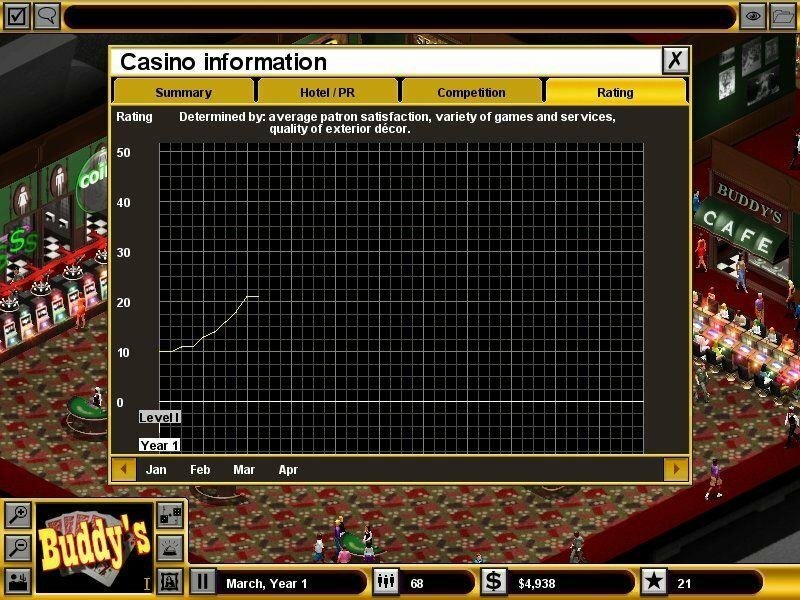 You can do things common in other tycoon games, such as browse through charts and stats or simply ask customers what they think about your casino. 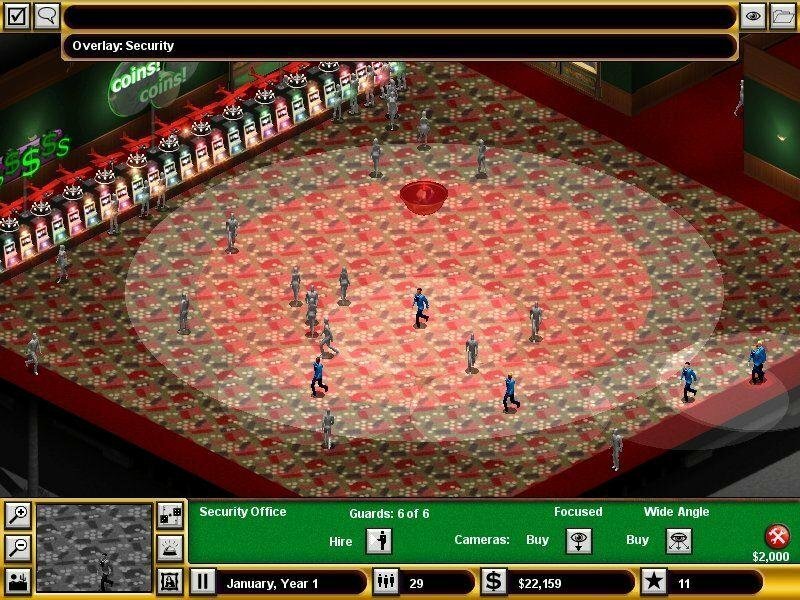 The control system used in this game is of the drag-and-drop variety. 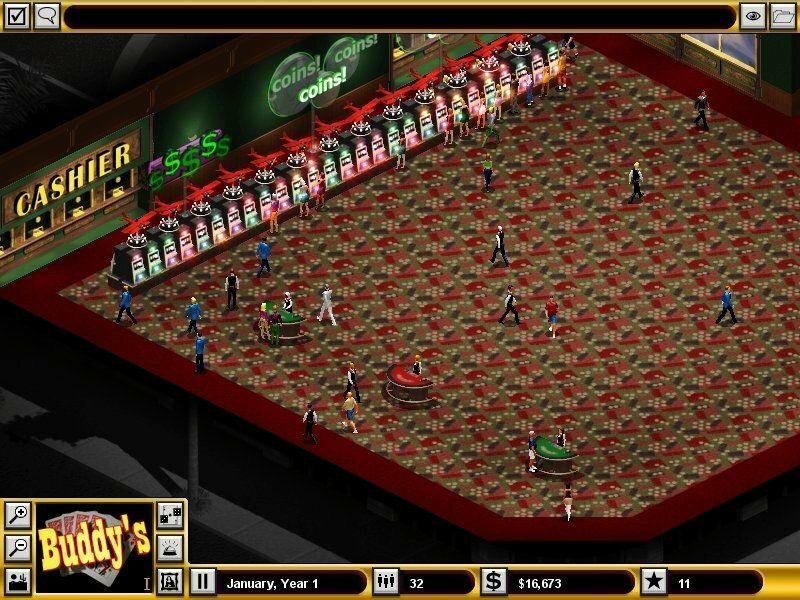 You can place gaming tables and machines just about anywhere, or rotate them before placing them. For things like the cashier’s booth or the security offices, you need a blank section of wall. The icon of the object you are trying to place will turn red if it can’t be located where you want it to be. This is a game that is extremely player friendly.